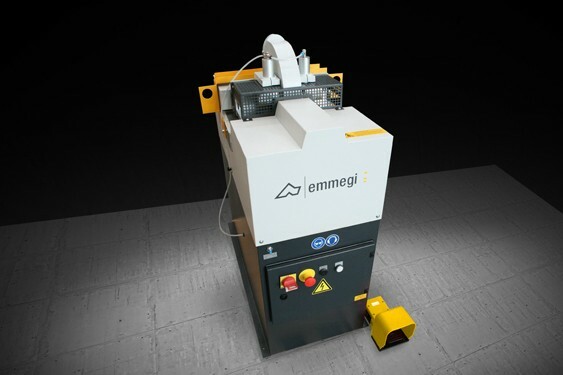 A 90° cutting centre built exclusively to cut aluminium profile bundles. 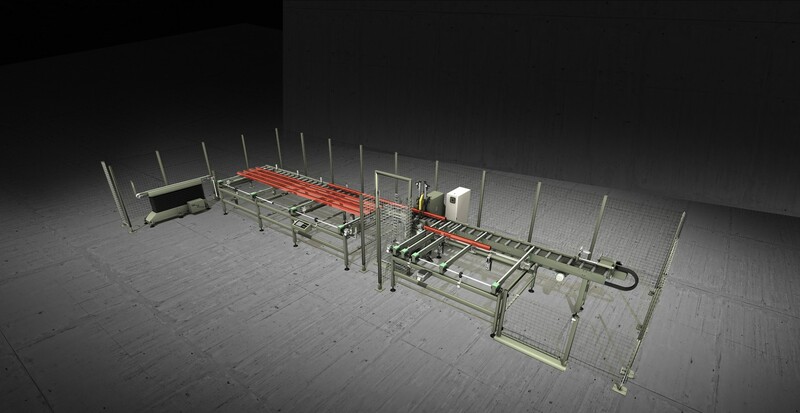 The centre is composed of several interconnected units which allow a single operator to manage the entire work cycle, from the loading to the unloading phase of the custom-cut bundles. 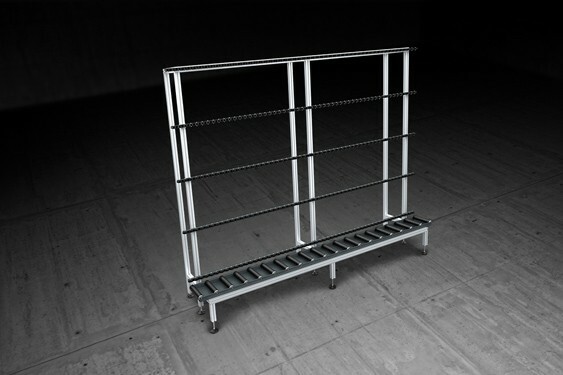 Aided by an optional copy router lift, the operator places the bundles on the step-by-step accumulation-operated loader bench (max. 4-5 bundles). A motor-driven roller then brings the bundle onto the cutting unit, which carries out an initial trimming of the bundle and then the subsequent customised cutting (work cycle set by software). Cutting swarf is discharged automatically by displacement of the central roller conveyor applied to the cutting unit. The pieces cut off from the bundle are evacuated from the cutting zone by the unloading table roller and picked up by belts to be unloaded manually by the operator.